Even the extravagant and complex design of today's Iron Man was preceded by a more modest design. 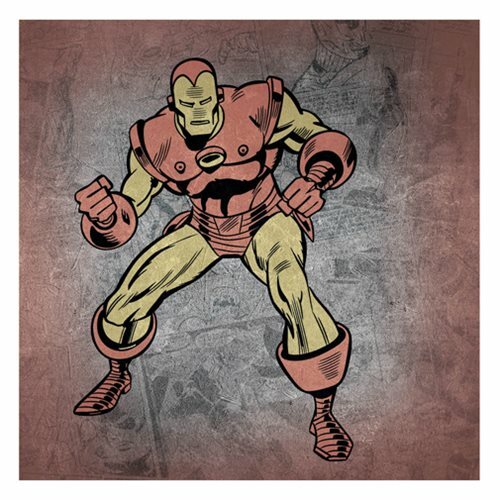 Bring your favorite Marvel character home with this Iron Man Vintage Colored Action Pose Canvas Print. Produced by Artissimo Design, this canvas print is perfect for decorating themed rooms as well as filling out dull living spaces. This impressive art piece measures 16-inches wide x 16-inches tall x 1 1/4-inches deep.